Quillin Law Firm, P.C., is recognized throughout the Dallas Metroplex region as one of the premier law firms primarily focusing on protecting the rights of physicians, nurses and health care professionals facing litigation and board disciplinary action that threatens their career and reputation. Attorney Ed Quillin has earned the highest AV Preeminent peer review rating for knowledge and ethical standards. His reputation for excellence and high client satisfaction rating has earned Mr. Quillin the distinction of being listed in Super Lawyers publication. Quillin Law Firm, P.C., includes attorneys licensed to practice before the United States Supreme Court and all Federal District Courts in Texas. Quillin Law Firm, P.C., represents health professionals and other clients throughout Texas. 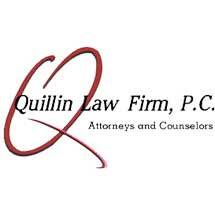 The bottom line is Quillin Law Firm, P.C.’s experience, reputation, skill and dedication results in nearly 100 percent client satisfaction.